Following their sold-out headline performance at Wireless Festival this summer, Chase & Status recently announced their 2016 UK tour. The shows will take place throughout November, opening in Glasgow at the O2 Academy and culminating at London’s Alexandra Palace. 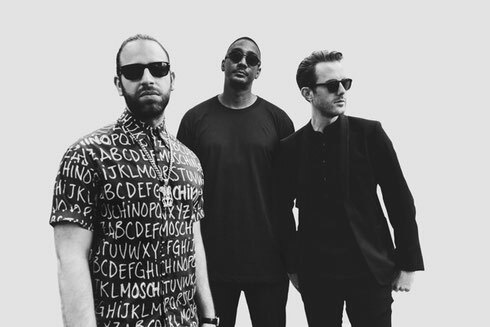 Chase & Status have toured and performed at arenas and festivals across the globe, including headlining festival stages at Glastonbury, Reading & Leeds and Global Gathering. 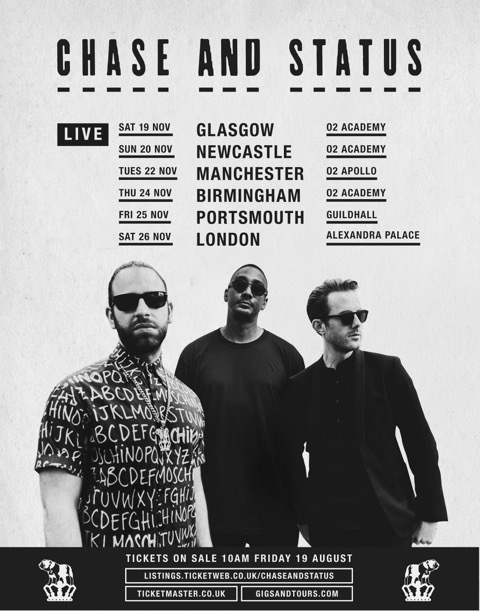 Described by Spin Magazine as “Nothing short of megastars”, Chase & Status are one of the most successful British bands of the past decade. ‘No More Idols’ - the follow-up to their debut album, ‘More Than Alot’ - was the second best-selling UK album by a British band in the year of its release, spawned seven A list Radio 1 hit singles, and achieved double platinum status. Their third studio album, ‘Brand New Machine’ debuted at no. 2 in the album charts, and brought their career record sales tally to over 3.5 million. Their recent headline appearance at Wireless Festival 2016 is available to watch in full here. Tickets are on sale from 10am today via: www.ticketmaster.co.uk and www.gigsandtours.com. For full tour details, see below.